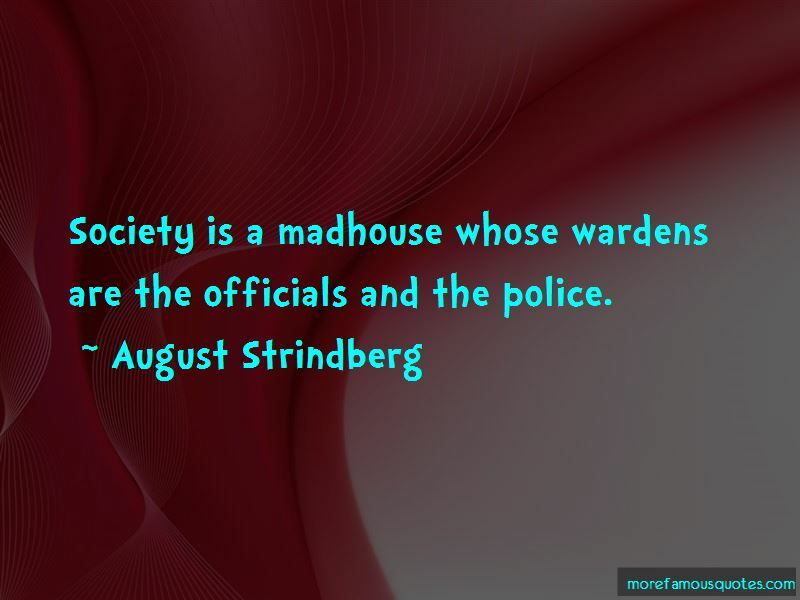 Enjoy the top 66 famous quotes, sayings and quotations by August Strindberg. And why does man weep when he is sad? I asked at last-Because the glass in the eyes must be washed now and then, so that we can see clearly, said the child. As soon as a work of art is of practical use, betrays a purpose or a tendency its beauty vanishes. “I prefer silence. Then you can hear thoughts and see into the past. The will ... is the driving force of the mind. If it's injured, the mind falls to pieces. When people refuse to speak out for too long, it's like water that's stagnant and starts to rot! Any programming language is at its best before it is implemented and used. Anything is possible, anything can happen. On a flimsy ground of reality, imagination spins marvelous patterns. It's risky to take anything on good faith where a woman is concerned. 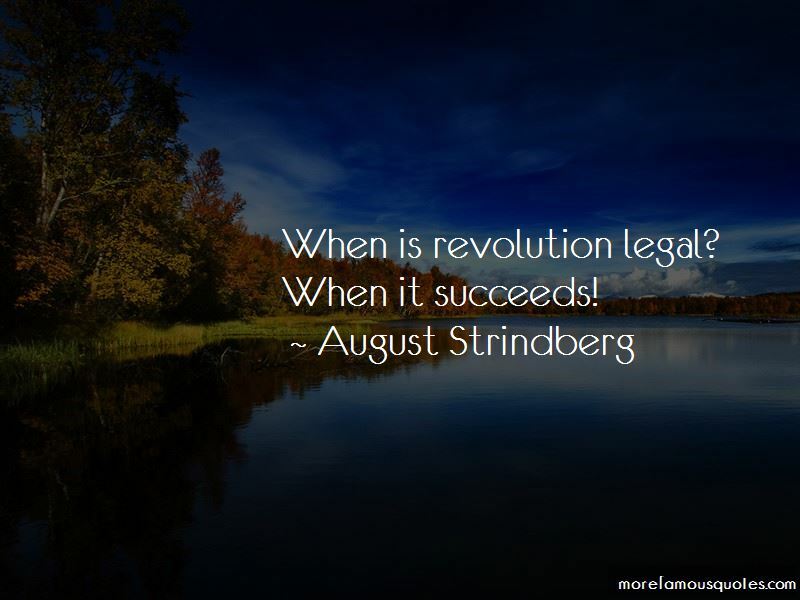 When is revolution legal? When it succeeds! God preserve us from writers who regurgitate what they have learnt from books! It is people's secrets we want to know - it is the natural history of the human heart that we have been trying to put down for a thousand years and everyone must and can leave their contribution. 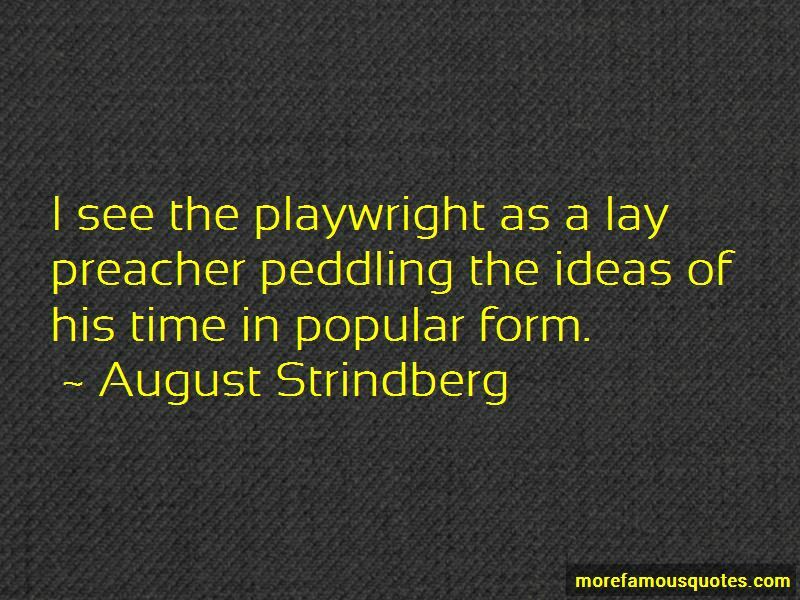 Want to see more pictures of August Strindberg quotes? 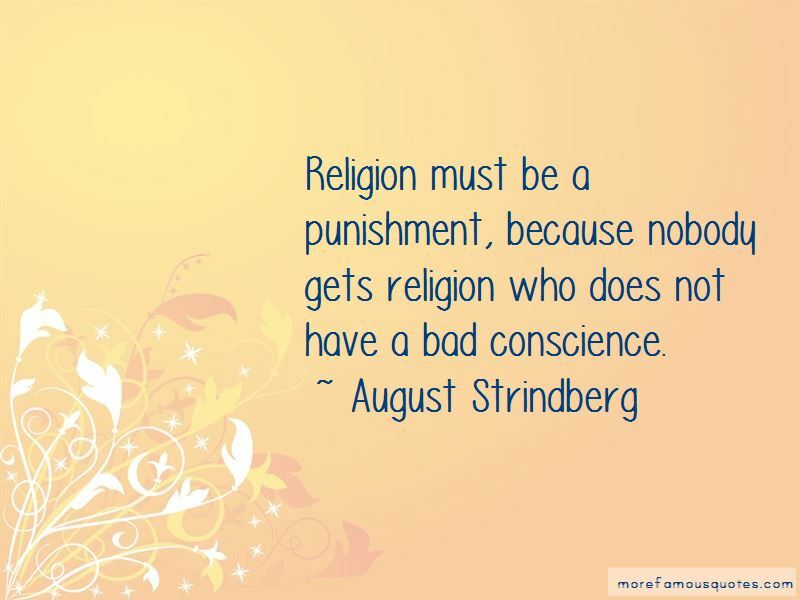 Click on image of August Strindberg quotes to view full size.